Shlomo ben Yakov Moussaieff (1852-1922) was born in the emirate of Bukhara (present-day Uzbekistan). 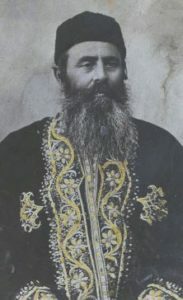 Both a renowned rabbi and a wealthy businessman, he made aliyah to the Holy Land in 1888 – bringing with him forty cases of gold – and was one of the founders of Jerusalem’s famous Bukharian Quarter. Moussaieff built four synagogues, and homes for 25 poor families. Meanwhile, he published a prayer book and disseminated it widely, making it his mission to inspire more Jews to pray regularly. He also continued his business ventures, particularly in real estate, tea, silk, and gemstones. Moussaieff was an avid collector of rare manuscripts, and amassed an impressive library with 225 ancient texts, including prized manuscripts of Maimonides and the mystical teachings of the Arizal. Until his last days, Moussaieff was committed to the development of Israel, and stated in his will that only those of his seven children that remain in Israel would receive any inheritance. His grandson, also Shlomo Moussaieff (1923-2015), though better known as Sam, would become even more famous. One of twelve children raised in Jerusalem, Sam Moussaieff ran away from home as a teen to avoid his strict father. Living in a synagogue, he worked for a carpenter and sold ancient coins he would find in Jerusalem’s caves and tombs. Once arrested by Arab policemen, he ended up in a Muslim school for nearly a year, becoming proficient in Arabic and the Koran. At 17, Moussaieff enlisted in the British Army to fight the Nazis. After World War II, he fought for Israel’s independence and was captured by the Jordanians, who imprisoned him for a year. Moussaieff returned to Jerusalem and joined the family jewellery business. 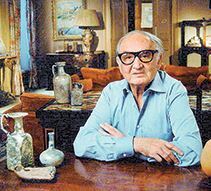 He soon opened his own antiquities shop in Jaffa, at times getting in trouble for smuggling goods. In 1963, Moussaieff was offered to have his record cleared of legal issues, as well as the rights to an exclusive shop in London’s Hilton Hotel, in exchange for handwritten letters from Maimonides which he owned. Moussaieff accepted and moved to London. His shop soon specialized in jewellery, and he became the dealer of choice for wealthy barons from Arab oil states thanks to his pristine Arabic. Moussaieff became world-renowned for his extremely rare and special gems. He owned the most precious stone in the world: a red diamond valued at $20 million. In 2011, he was ranked among the richest Londoners, with an estimated worth of some $350 million. Moussaieff amassed a personal collection of over 60,000 ancient artifacts, including millennia-old seals from Jerusalem’s First Temple, and reportedly even items associated with the forefather Abraham! 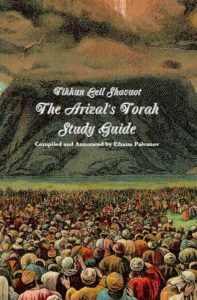 His stated goal was to collect indisputable evidence proving the accuracy of the Torah. 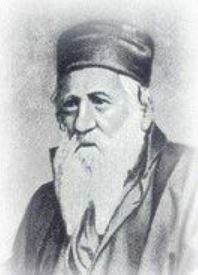 Moussaieff was given an honourary degree by Bar Ilan University (to whom he donated many artifacts, including his grandfather’s ancient manuscripts) which established the Dr. Shlomo Moussaieff Center for Kabbala Research. Interestingly, Moussaieff once purchased an ancient Torah scroll for $1 million from the Allenby family – who had the Torah because the elder Shlomo Moussaieff gave it as a gift to General Allenby during World War I! This entry was posted in Business & Finance, Religious Leaders and tagged Antiquities, Arabic, Bar-Ilan University, Bukhara, Bukharian Jews, Bukharian Quarter, English Jews, Gems, Israel, Jaffa, Jerusalem, Kabbalah, Kabbalist, London, Rabbi, Sephardic Jews, Uzbekistan, War of Independence, World War I, World War II on May 4, 2017 by Jew of the Week.